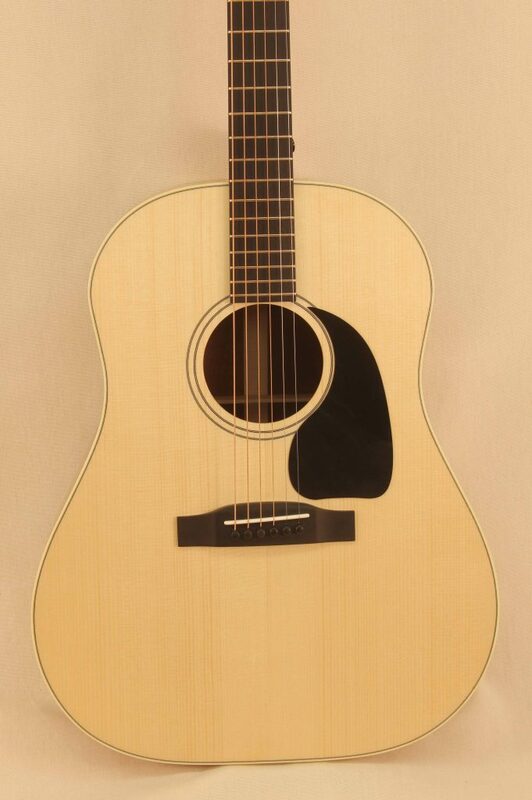 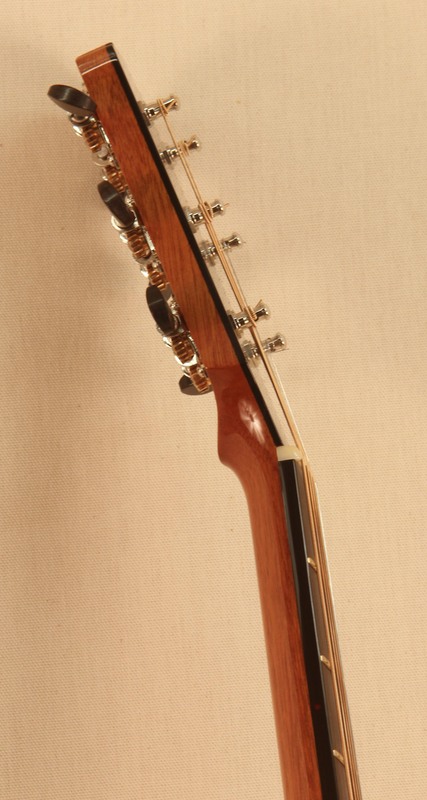 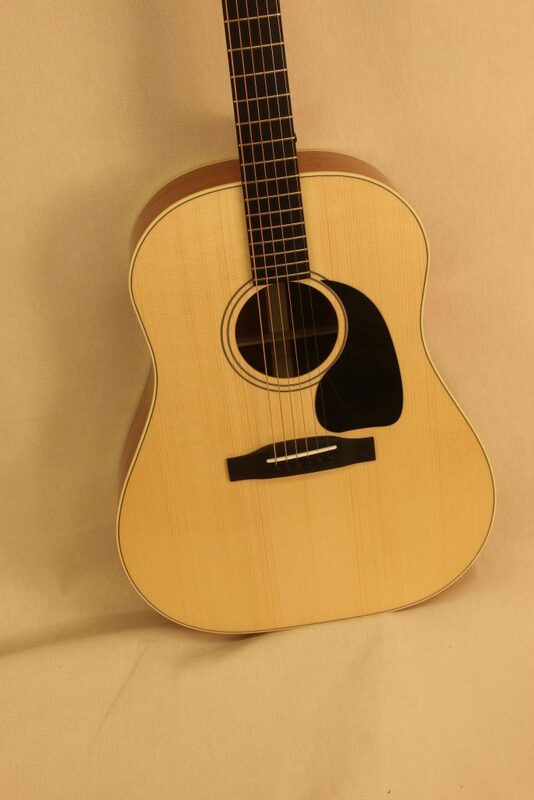 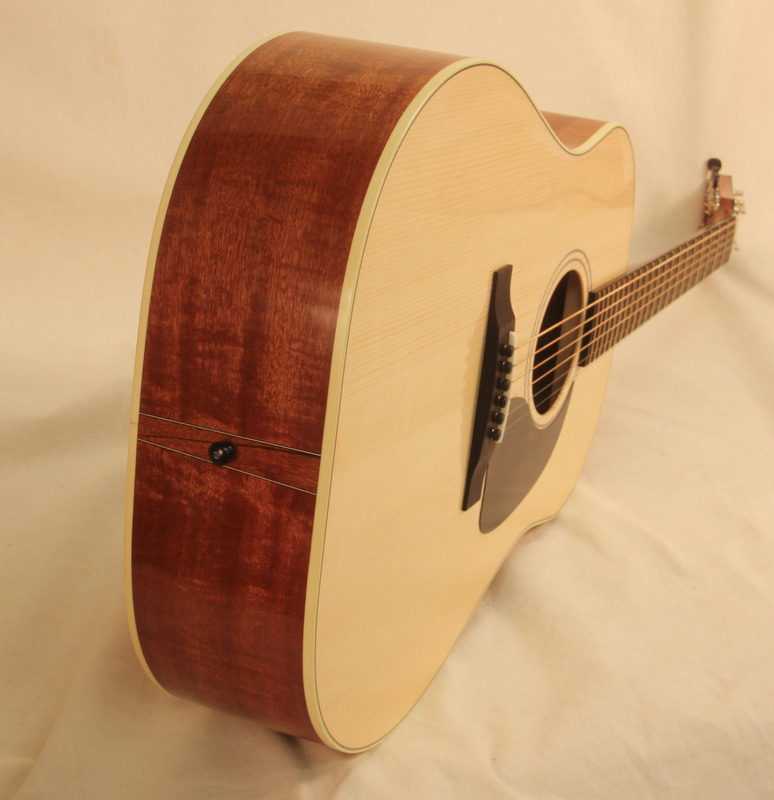 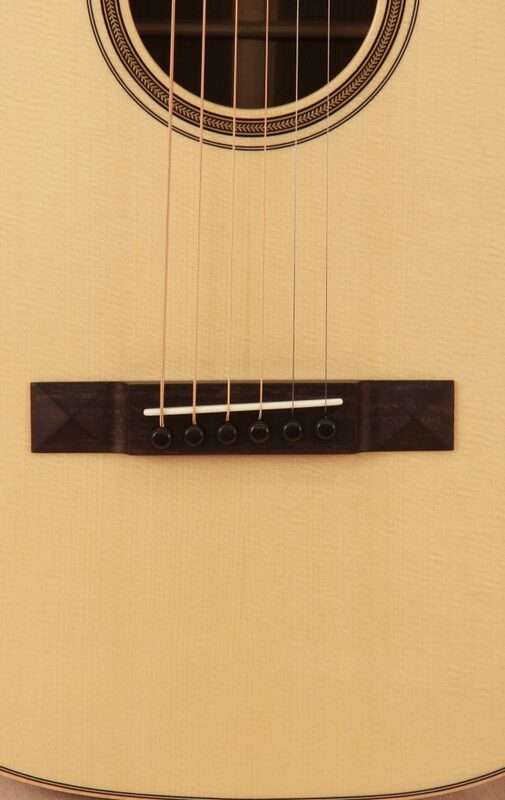 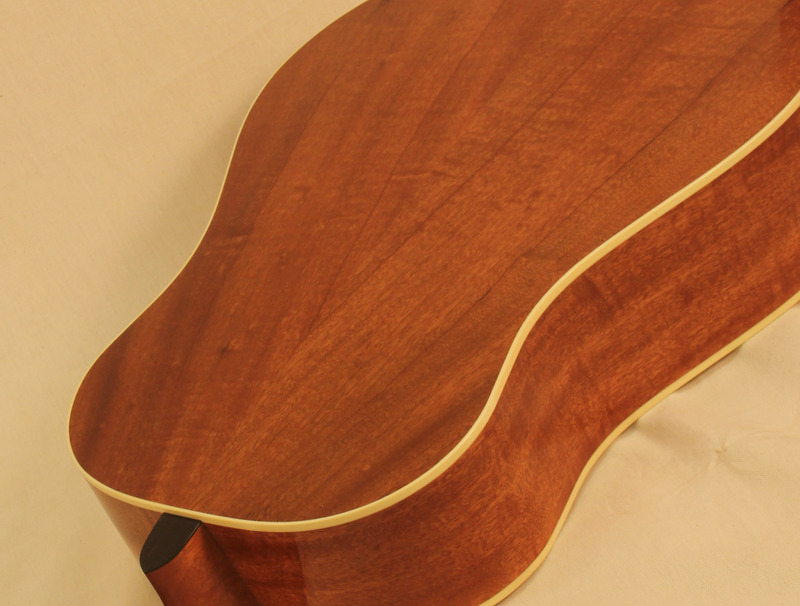 This guitar was modeled after a 1957 Gibson J-45 with a couple of twists and my own brace tuning. 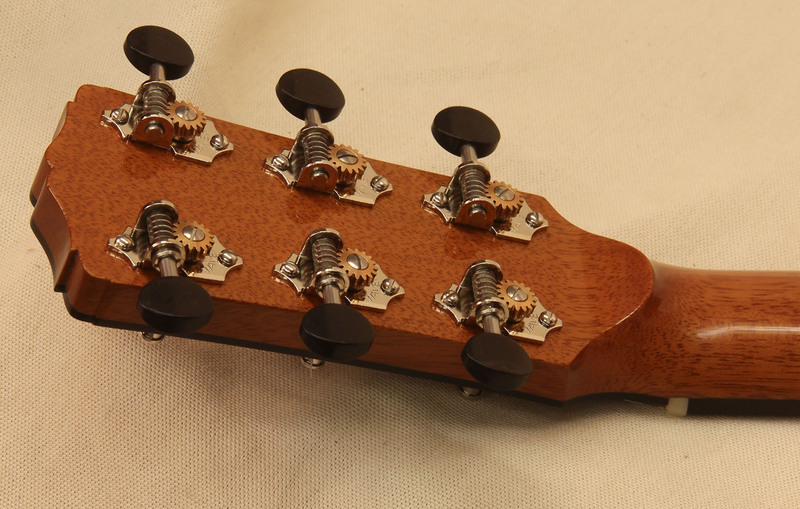 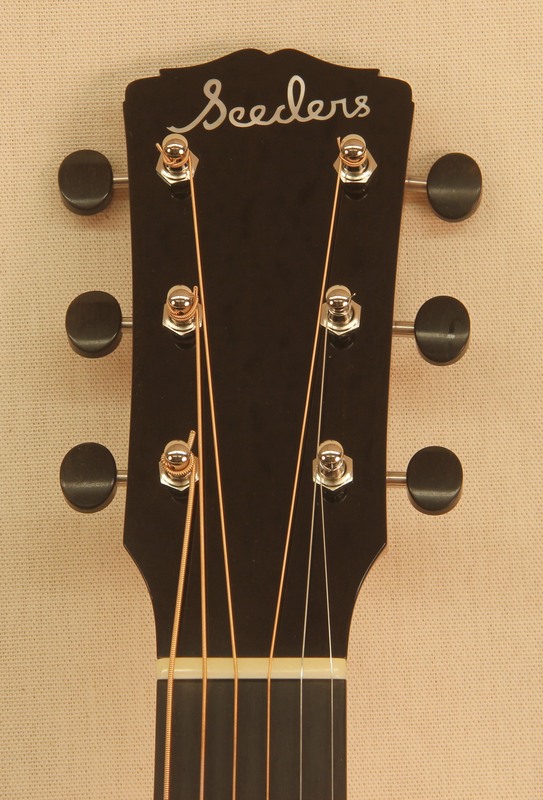 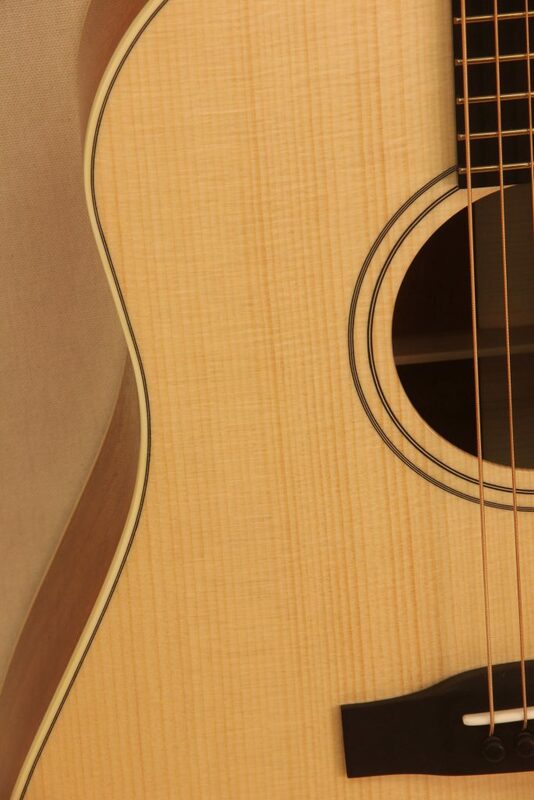 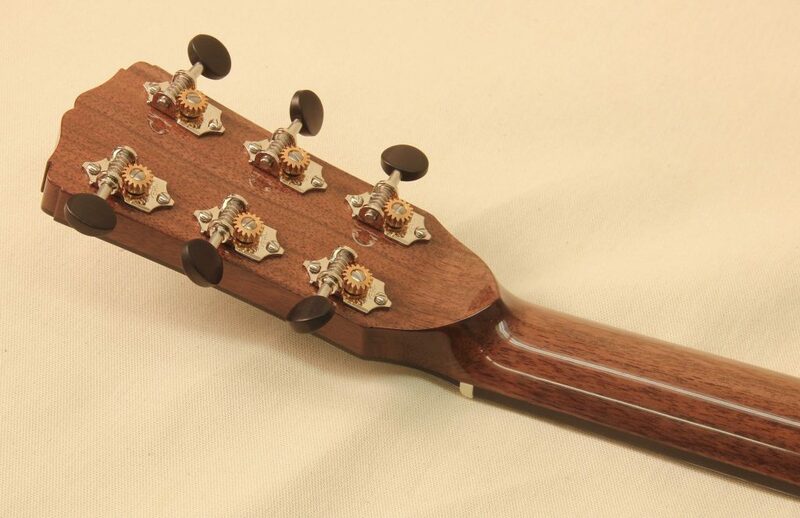 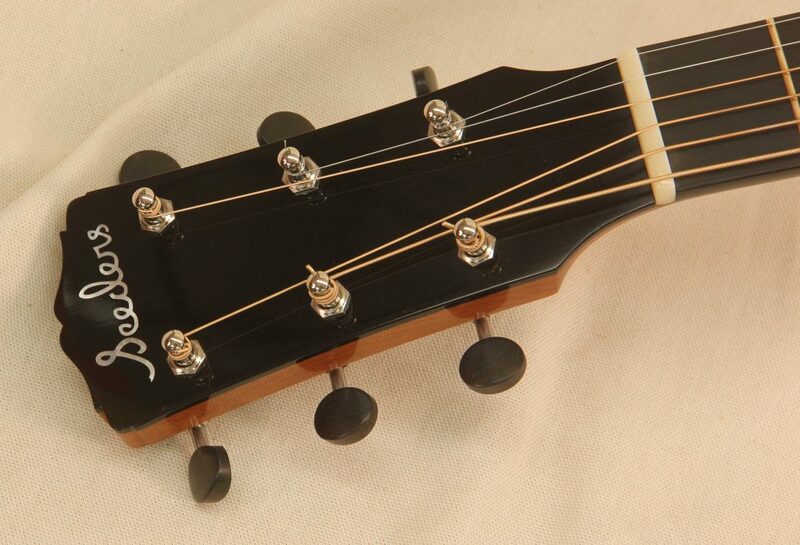 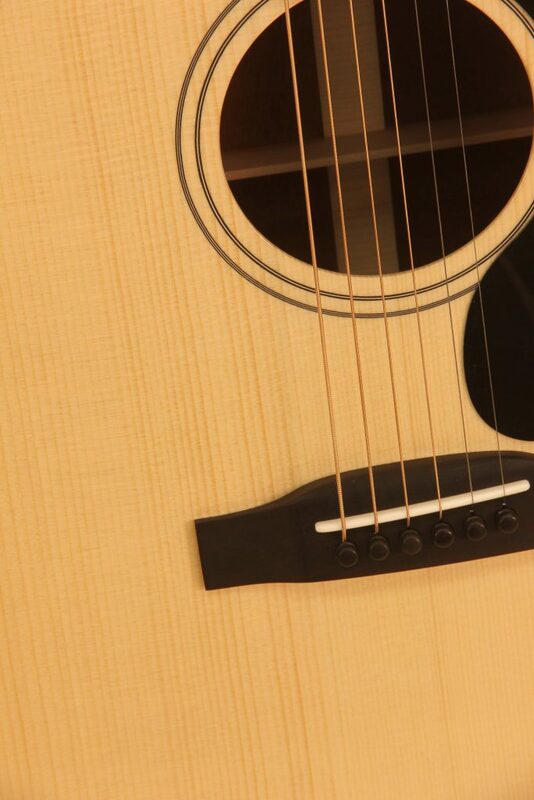 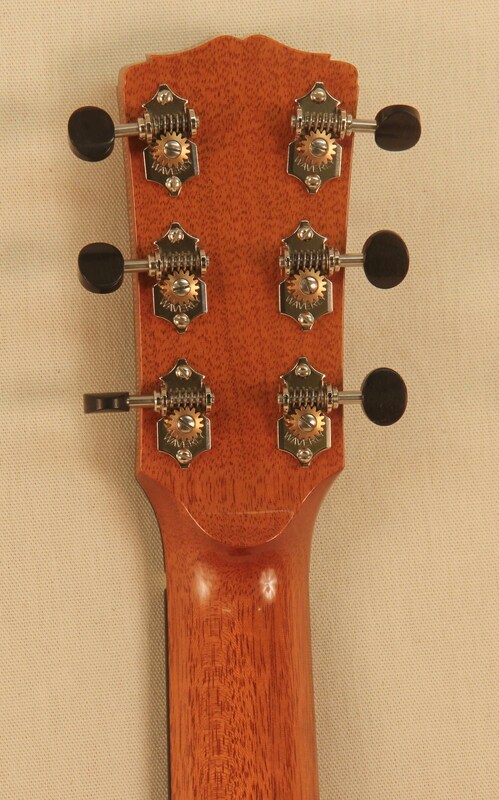 It resulted in a powerful guitar with a strong sound and a well balanced tone. 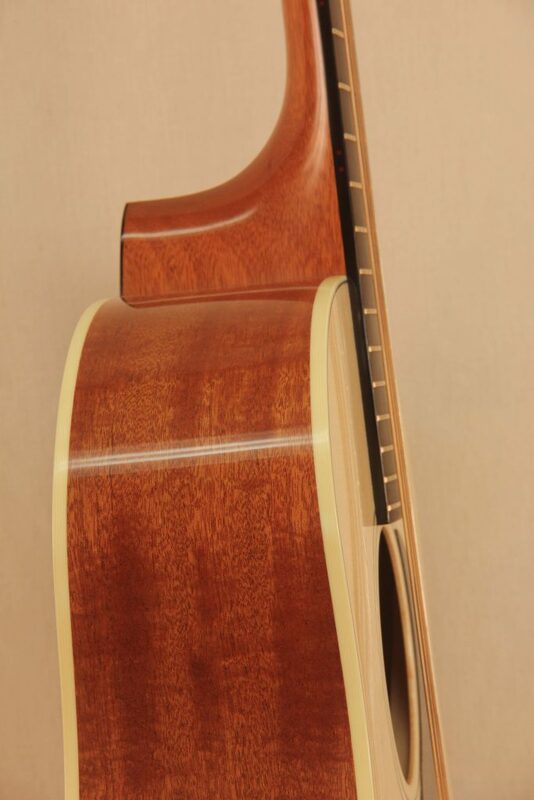 The classic curves of the slope shoulder body shape paired with excellent tone woods bring together a perfect blend of tone and style. 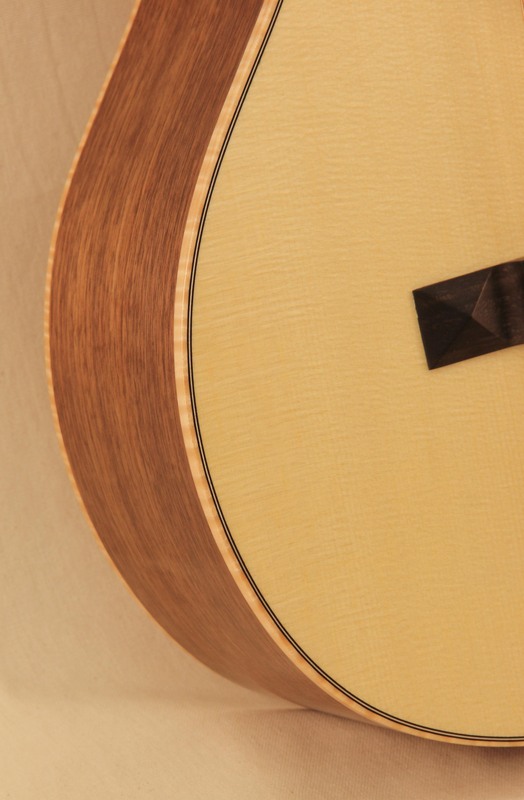 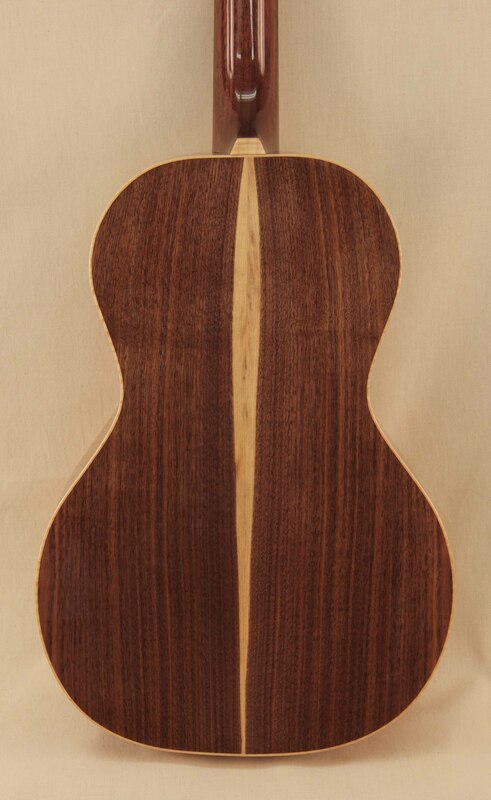 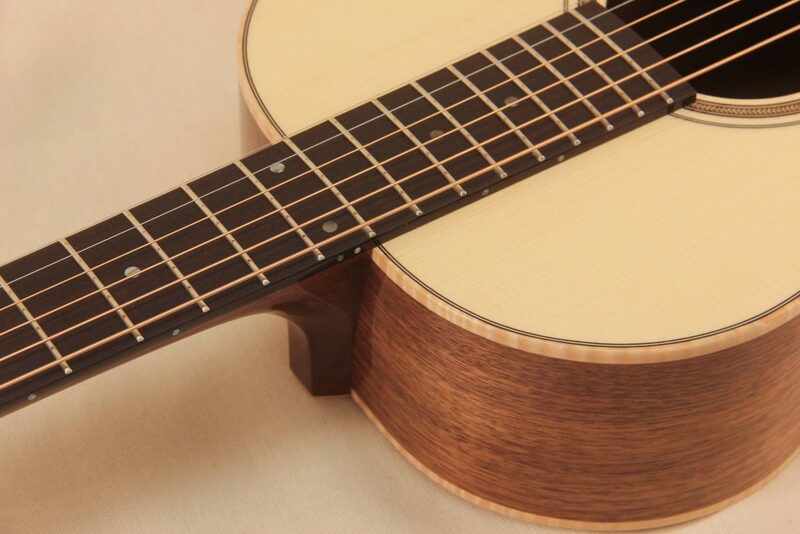 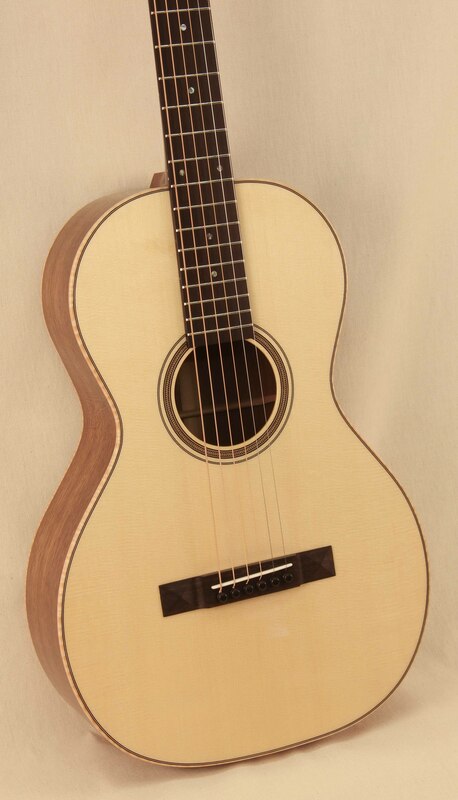 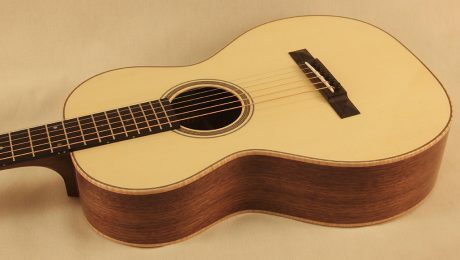 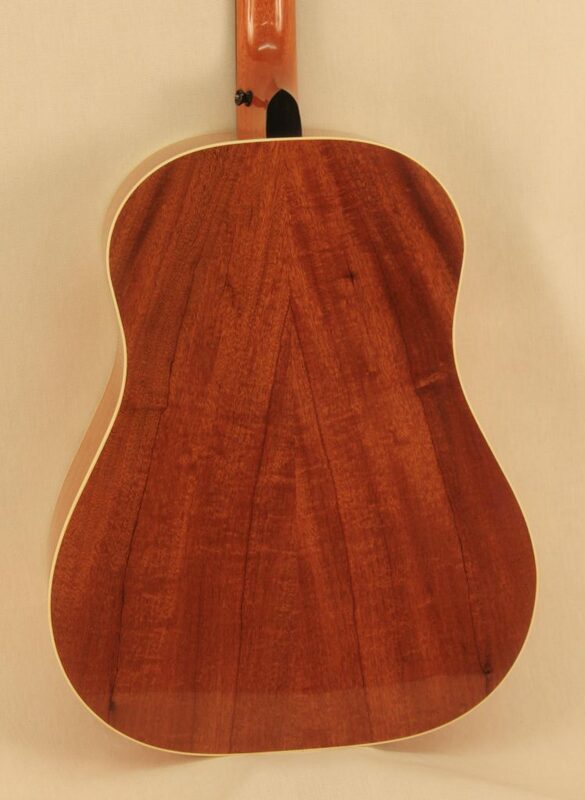 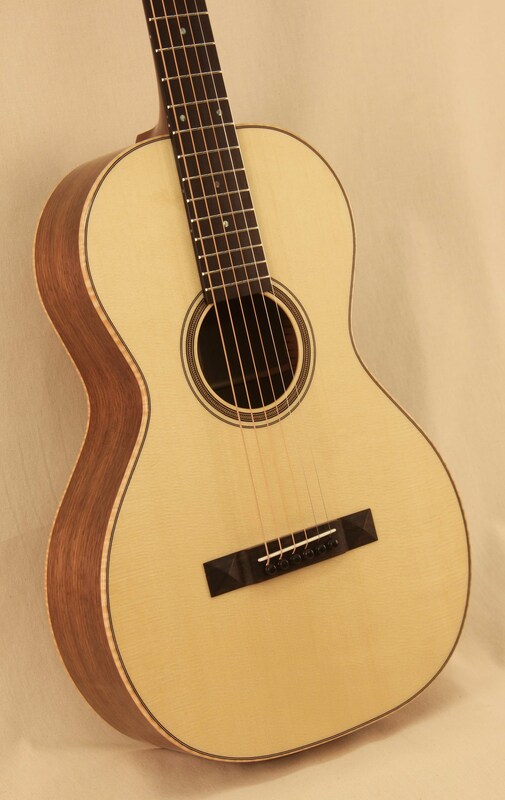 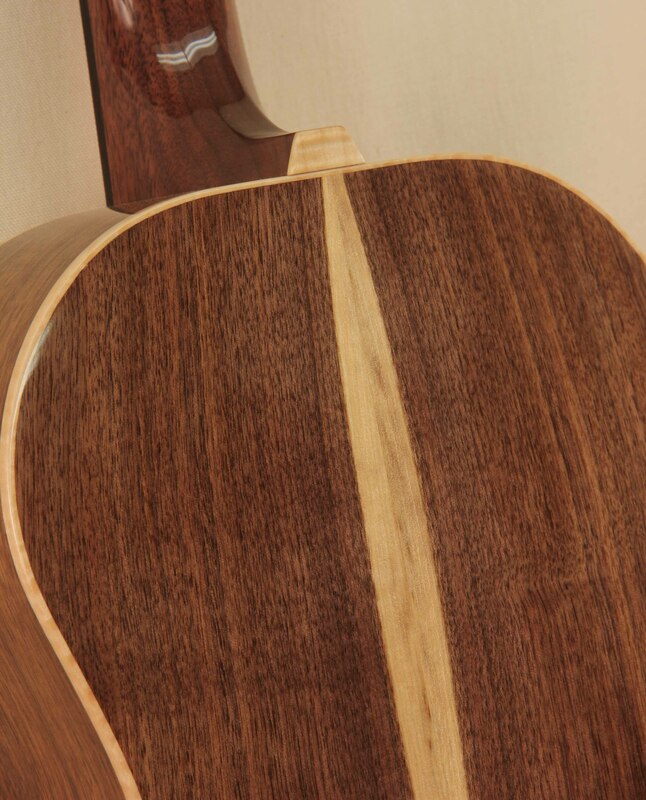 This Walnut parlor guitar was mostly built in the Circle Strings shop under the guidance of my friend and fellow Vermont luthier, Adam Buchwald. 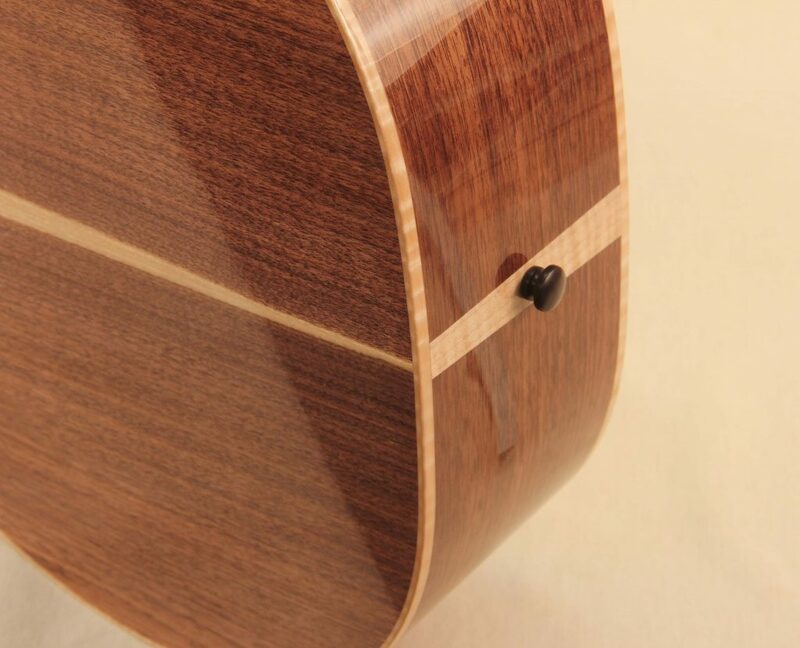 I was working part time for Adam helping him implement the use of a CNC into his building process. 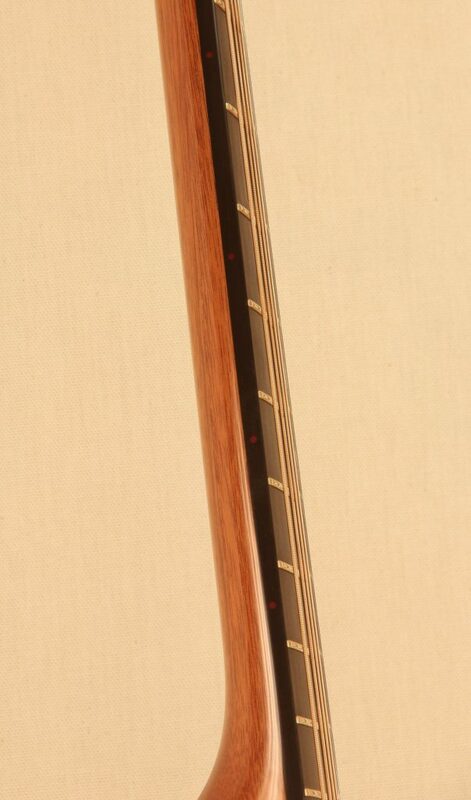 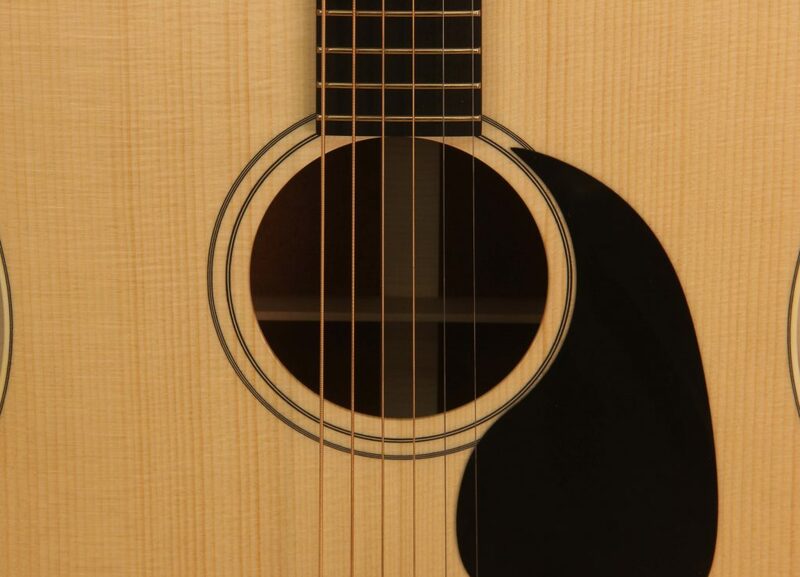 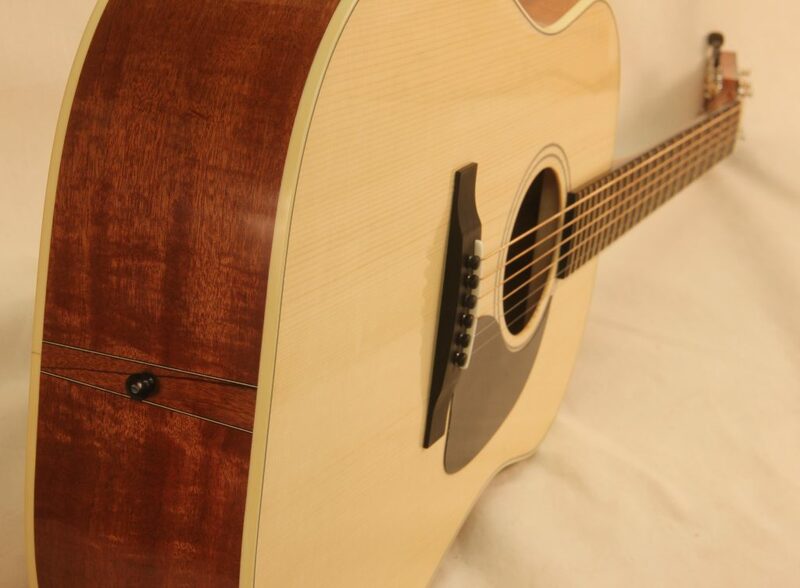 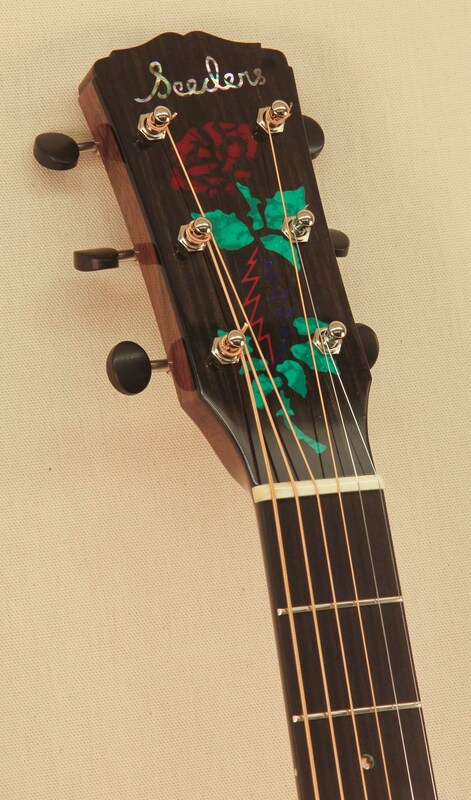 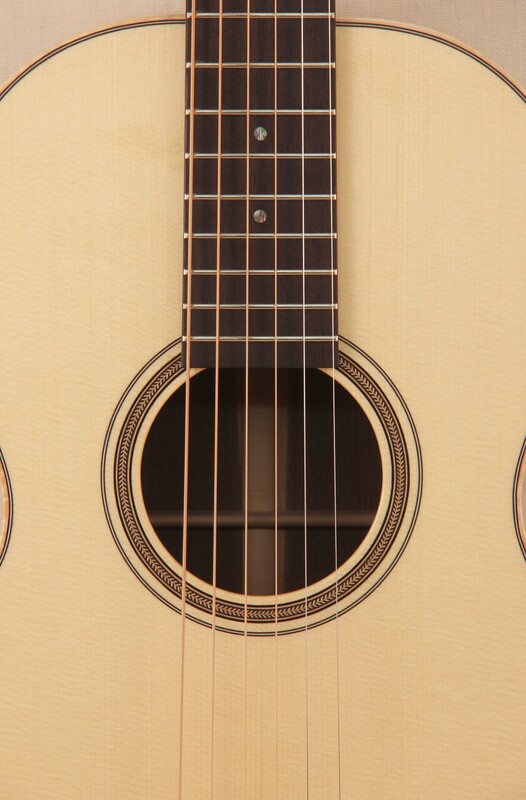 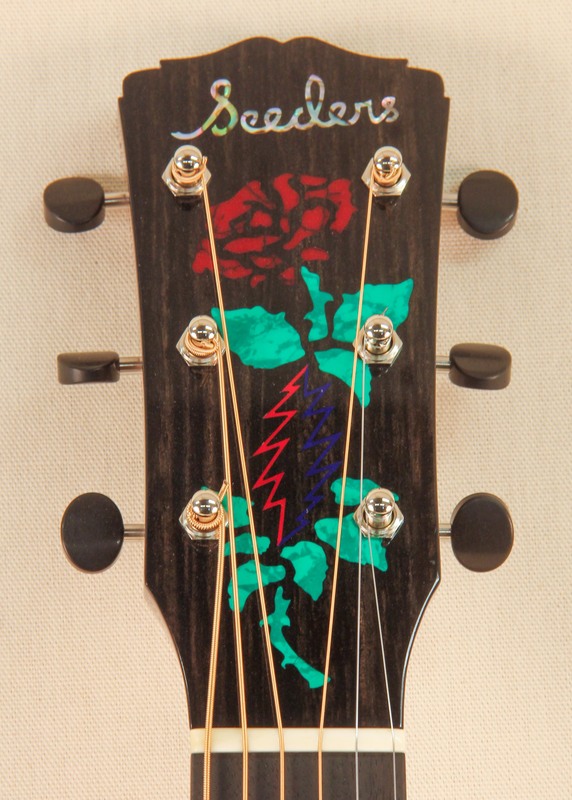 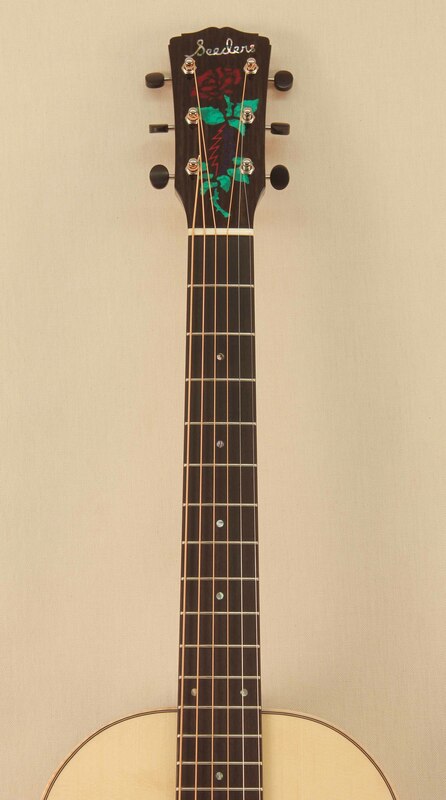 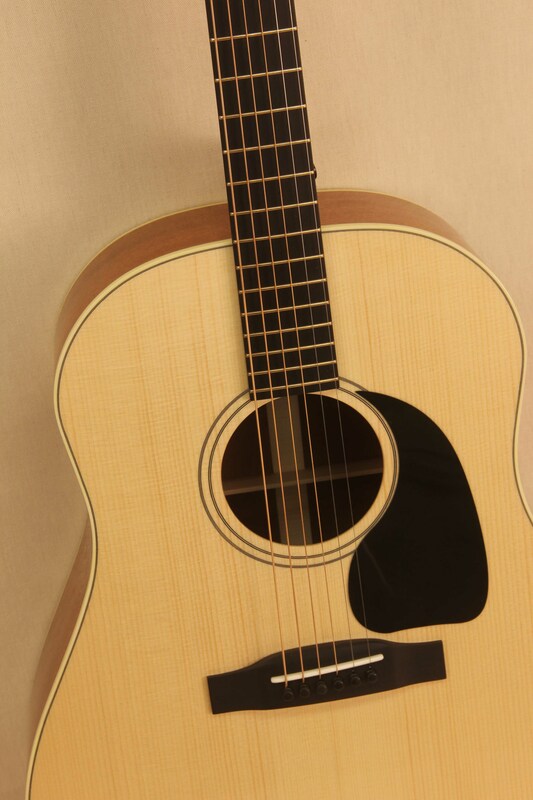 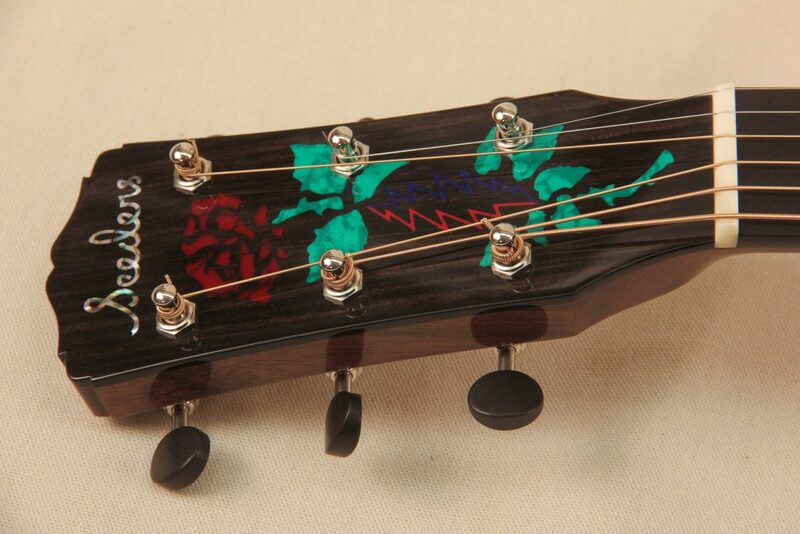 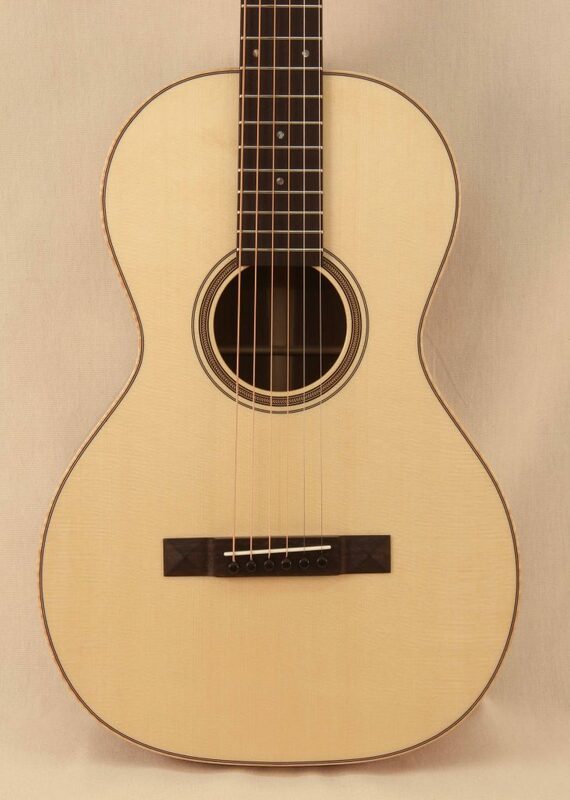 The guitar features an inlay designed by the recipient of the guitar which was built for her as a gift and commissioned by an old friend of mine. 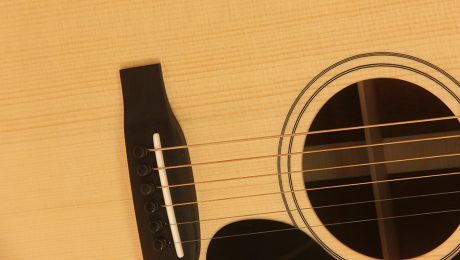 The small size of the parlor guitar is not to be underestimated as it has a large presence and very focused but sweet sound, especially when fingerpicked.